I’ve done this all season, so why stop now. Here’s my No. 1 key for Wyoming in tonight’s Poinsettia Bowl vs. BYU. Kickoff is at 7 p.m. MT at Qualcomm Stadium in San Diego. The game is televised on ESPN. Players making plays: Meaning Wyoming’s best players must make plays. Whether it’s on offense, defense or special teams, the guys the Cowboys have leaned on throughout the season must be good from start to finish. If some unsung players do so, even better. But in big games like this, big-time players make big-time plays. Nineteen seniors will play their last game for UW. 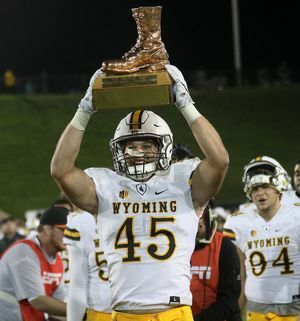 Some will have bigger roles than others, but one who will have the biggest role is middle linebacker Lucas Wacha, who also is a team captain. This is what third-year-coach Craig Bohl said of Wacha earlier this week in San Diego. “The biggest transition he made was taking ownership in the defense. I saw a transition last year when we were struggling, he always had a positive attitude and at times challenged some of the guys that weren’t performing or preparing to perform the way they needed to. Wacha is third on the team with 104 tackles and 8.0 tackles for loss, and is tied for third with three quarterback sacks. He needs three tackles to move into seventh place and 12 to be sixth in career tackles in school history. Wacha enters the game with 340 tackles. Third-year Wyoming football coach Craig Bohl had a lot of good things to say about Saturday’s final scrimmage of fall camp. However, no statistics or score were kept as there was not much full contact and UW’s top offensive and defensive units went up against the scout team. 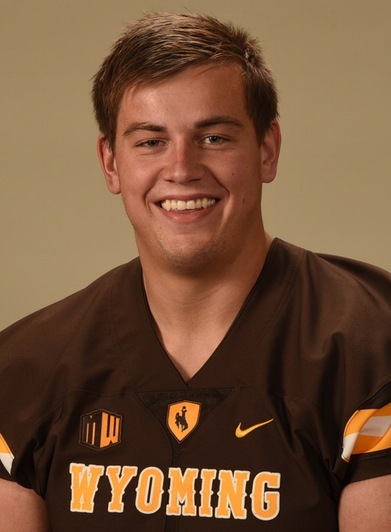 –Redshirt sophomore quarterback Josh Allen threw touchdown passes of 42 and 16 yards to senior wide receiver Tanner Gentry. –Junior cornerback Rico Gafford returned two interceptions for a touchdown. –Senior middle linebacker Lucas Wacha returned an interception 40 yards for a touchdown. Wyoming held its Tuesday morning practice at the North 40 practice fields, and third-year coach Craig Bohl wasn’t happy that UW’s facilities crew watered the grass fields prior to practice, which created a lot of slipping and mis-timing in certain instances. Here’s what Bohl told the media after practice. 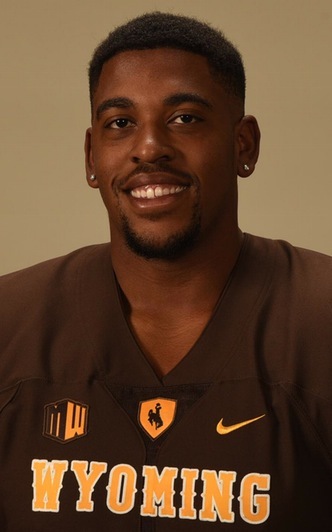 Wyoming released its latest roster Wednesday night with updated heights and weights. The previous roster UW had out was around late June to early July. Not a lot changed in terms of heights, but here are some of the more noticeable weight differences. Wyoming football coach Craig Bohl wasn’t pleased with what he saw from the Cowboys’ practice Wednesday — the 11th of fall camp. I’ll let you listen to what Bohl had to say about it. If you watched the entire Bohl video, you heard him say that senior wide receiver Jake Maulhardt and junior fullback Drew Van Maanen didn’t finish practice with “soft tissue issues.” That means hamstring strains. Senior wide receiver Tanner Gentry, junior cornerback Robert Priester and sophomore free safety Andrew Wingard — all starters — have been dealing with the same thing throughout camp and remain out. However, Bohl is optimistic all three will return soon. Du’Ryan Ebbesen is from St. Croix in the U.S. Virgin Islands, but has called Wyoming home for more than five years. Ebbesen is a walk-on senior center for the Wyoming football team, and also a graduate of Cheyenne Central High. As a quick refresher, here is the story I wrote on Ebbesen during spring drills in late March. A lot of Ebbesen’s motivation is for his family back in the Virgin Islands, but also for his adoptive family back in Cheyenne. Not only does Ebbesen feel the support from Cheyenne, but also in Laramie and throughout Wyoming. He may be from the Virgin Islands, but many know he graduated from high school in Wyoming — and you know how UW fans take to seeing one of their in-state kids do well in athletics. “It’s a big deal to be on this team, and a great pleasure to be here and play for these die-hard fans,” Ebbesen added. Wyoming had its first two-a-day session of fall camp Saturday. The morning practice was in War Memorial Stadium. The players were in shorts and “spider pads,” which are a step down from shoulder pads. The afternoon practice was expected to be in full pads with some scrimmaging. However, that practice was closed to the public and media. Here are some highlights from the morning practice. Wyoming put on the shoulder pads for the first time this fall camp on Wednesday. The first practice in full pads is set for Friday. UW did a lot of special teams and one-on-one drills during the early portions of Wednesday’s practice that the media was allowed to watch. Here are some highlights of the action. Sophomore free safety Andrew Wingard (hamstring strain) had been limited during the first two days of camp as a precaution. He was expected to do more at Wednesday’s practice. Junior cornerback Robert Priester (hamstring strain) also has been limited more out of precaution, but still was limited Wednesday. Redshirt freshman Davion Freeman looks to be getting some of the reps with the No. 1 defense in place of Priester. Sophomore Chavez Pownell Jr. has received more reps in place of Wingard.